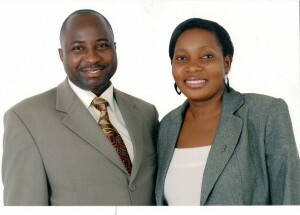 Biography: Frank and Susan are the founders and directors of Conquerors Ministries International. Frank is a social worker and administrator by profession, and a pastor by calling, with a degree in social work and social administration. Susan has a degree in secondary education. Their mission is to build a healing ministry for people who are hurting spiritually, physically, socially, and economically in order to fulfill God's purpose intended for man. Since CMI is located in a very rural area of south eastern Uganda, Frank and Susan utilize cell groups in villages around the church. They have a children's ministry and an active youth ministry which trains the youth in leadership skills through the appointment of a class president who creates a cabinet to plan programs and events aimed to affect or influence youth to know and love God. Strengths: Frank and Susan are gifted administrators who actively show the heart of God to all they meet.